Babak Golkar was born in Berkeley in 1977. He spent most of his formative years in Tehran until 1996 when he migrated to Vancouver, where he obtained a Bachelor of Fine Arts in Visual Arts from Emily Carr Institute in 2003 and a Masters of Fine Arts from the University of British Columbia in 2006. Since then, Babak has been researching diverse subjects and cultivating a conceptual vocabulary and has developed an active career exhibiting works globally. His subjects of research have especially emerged from an interest in spatial analysis in relation to our contemporary systemic conditions that are overpowering human conditions. In merging and examining originally discrete systems and forms, asserting underlying unity as well as antagonistic elements, Babak engages a critical inquiry into cultural and socio-economical registers. Recent solo exhibitions include Of Labour, Of Dirt Sazman Aab, Tehran, Iran (2014); The Return Project, The Third Line, Dubai, UAE (2014); Time to Let Go, Vancouver Art Gallery, Vancouver, Canada (2014); Dialectic of Failure, West Vancouver Museum, Vancouver, Canada (2013); Ground for Standing and Understanding, VOLTA NY Featured Project, New York, USA (2013); Friday Late Special Project, Victoria and Albert Museum, London, UK (2012); Spatial Transformation, Hilger Modern Contemporary, Vienna, Austria (2012); Parergon, The Third Line, Dubai, UAE (2011). Selected group exhibitions include Common Grounds, Museum Villa Stuck, Munich, Germany (2014); L'avenir: 9th La Biennale de Montreal, Musee d'art Contemporain de Montreal, Canada (2014); La Route Bleue, Boghossian Foundation, Villa Empain, Brussels, Belgium (2013); Come Invest in Us, You'll Strike Gold, Brot Kunsthalle, Vienna, Austria; Jameel Prize Exhibition, Casa Arabe, Madrid, Spain (2012). 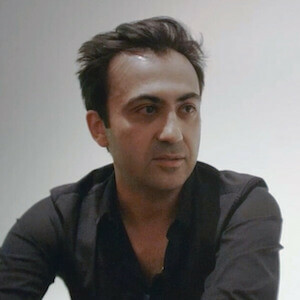 Babak works and resides in Vancouver, British Columbia.